Psychologists say “for many people. Their home is part of their self-definition”. Hence, choosing a house to live in is one of the biggest decisions in life. 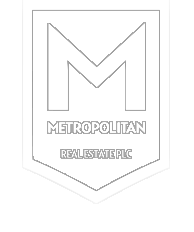 Here at Metropolitan real estate, we care about your needs and well-being. That is why we prepared this article to help you in your search for Ethiopian homes. Whether you’re new to the city or you know it well, you need to be prepared to find the right house for you and your family and make your search go smoother. So do you want to buy a house in Ethiopia? Here are Things you should consider while searching for an apartment in Addis Ababa. You’re making perhaps the biggest purchase of your life, and you deserve to have a purchase that fit your needs as closely as possible. Luckily, In metro areas like Addis, you have plenty of choices with their own pros and cons. But, to find your dream luxury house you need to decide which type of property could make you and your family happy. Location should be considered when thinking about where your place of work is located, schools, and proximity to shopping and hospitals. Especially in a city that goes through frequent changes like Addis Ababa. Take into consideration the services you frequently need to get that are important to your family and then decide if a certain location is right for you. It’s no wonder that living in a beautiful home with a great view would feel superb. Who wouldn’t want to feel good in their home?